*Affiliate links used to show same or similar items used. For more info, you can see our Disclosure Policy here. Whether you change out light fixtures, found some globes in a free pile, or purchased a few at a thrift store (or ReStore), you can make something beautiful with them. 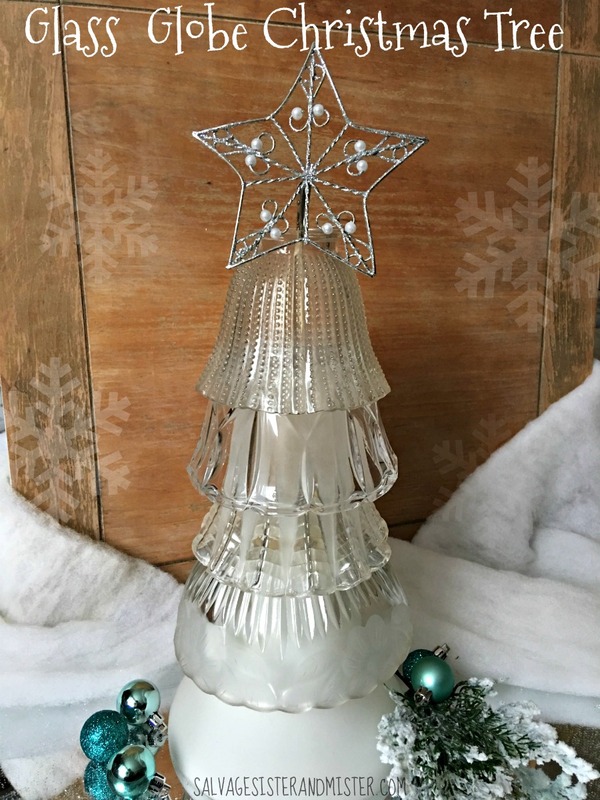 This Glass Globe Christmas Tree couldn’t be easier! 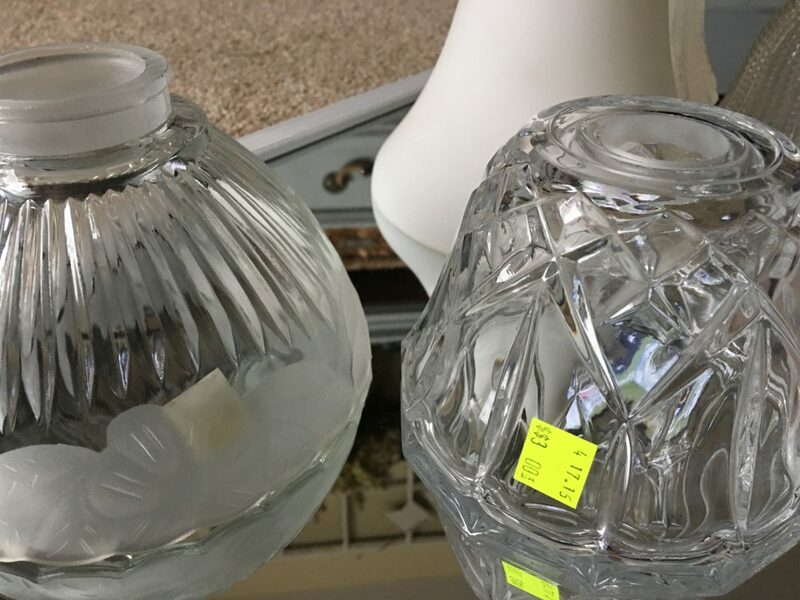 If you can’t find free globes, they are plentiful at your local ReStore for around $1-$3 (fancy/heavy/vintage ones can be on the high side) each. After playing around with sizes and shapes, five were purchased and then stacked from largest to smallest. You can glue yours together if you want a permanent décor item (or to gift). We choose to just set them up so we can use them for something else. If you don’t glue them, make sure you place it out of the way so it won’t get bumped. 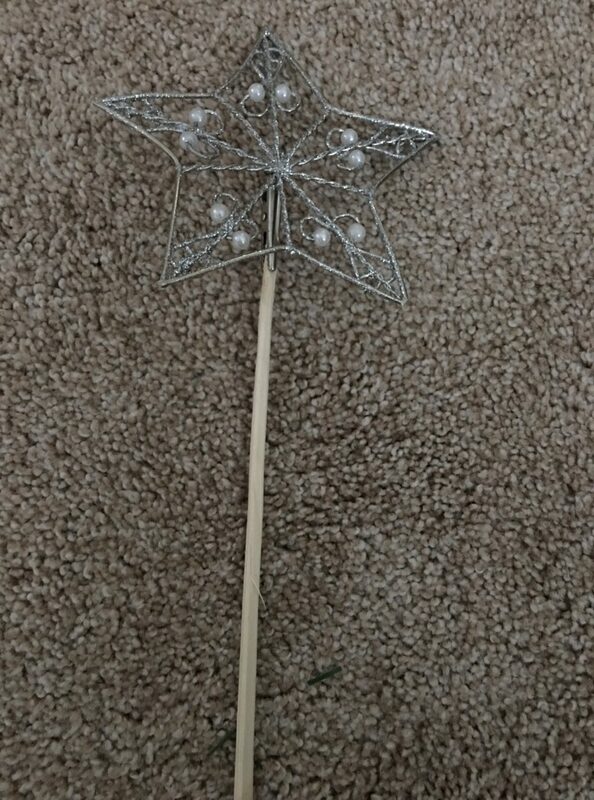 The star was found at our local Goodwill. It had a clip so it was attached to a chop stick of course! *If your star doesn’t have a clip, you could wrap a star with some wire around a stick. Here is a shell type star that was a clip. This glass globe Christmas tree was set on a mirror. Some glitter snow, ornaments, sprigs, or whatever you have lying around would make for a lovely holiday decoration. Oh, and some twinkle lights would be lovely too! Easy, huh? Just takes a little imagination and not much else really! 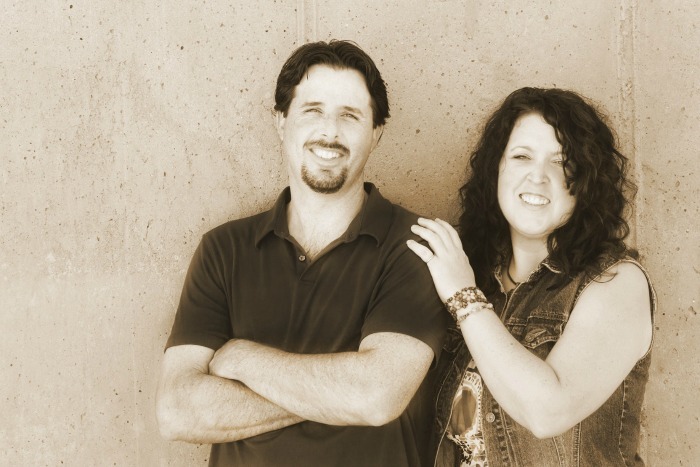 Our goal is to help you make the most with whatever you have. Christmas, or any situation, you don’t have to spend a lot, store a lot, waste a lot, or take a time of time to create a life you want. Finally, if you want more ideas…..don’t forget to sign up for our weekly newsletter. Thanks so much. Oh that would be fun to tint them to make like mercury glass! Good idea! Deborah, these glass globe Christmas trees are such a great idea!! I have been collecting these shades from garage sales and from our own home remodel so now I have another beautiful project in store. Thanks for sharing this wonderful idea! I’m going to start looking for globes. Thanks. I hope you can find some pretty ones!! Thanks for stopping by! Thanks Kirstin!!! I have a new idea I wanna try with them. I don’t know if it will be this Christmas or next though. What a cute idea, and I love easy projects! I picked up some fan blade and globes off the curbside the other day. Are there directions for this globe Christmas tree project. I have lots of these for sale in my booth and I’ve been looking for a project. Hi Monica, All I did was place them on top of each other. Since I don’t have small children it worked just fine. You can glue yours together if you like. Let me know if you have any other questions. This is at great idea! I already have some globes to use, and will be looking for more. Thanks! Alicia, The ReStore or thrift stores usually are filled with them. Thanks for entering! I already have 5 milk glass globes that I changed out of my chandler years ago and love thought of making a unique Christmas tree out of them. Ann, Milk glass would be lovely! Love it…There is a Restore very close to me …they have a lot of these. I’ll be making a few of these as presents….love it. Awwwww that is so precious. My grandmother would have loved this tree. She is the one who made me want to dyi and recycle and upcycle all I could when I became an adult. She made things like this that I remember from my childhood. It’s very beautiful and I’m going to make one in her honor. Thank you so much for sharing this. It brings back allot of great memories. Jeannie, It sounds like your Grandma was a special lady! Enjoy making these!!! such a CUTE idea!! Something else to search for at Goodwill! Michelle, Absolutely. Also, you may just ask friends. Often when people are remodeling these get tossed out. This is such a lovely Christmas craft! And I think I have everything that I need to make it! I love this glass Christmas tree. I will be making this for Christmas. The globe Christmas tree is so clever it makes you feel like it’s an obvious crafting idea and why didn’t you think of it yourself – but I never do so I get my ideas from people like you. Thanks. Donna, 🙂 Oh, I have seen so many projects like that. It’s good we all come together and share ideas and it helps us inspire us to do our spin. Love this new idea. Can’t wait to see what else you come up with. Teresa, That’s awesome. I hope you get to do something with those globes. It’s always fun to experiment. I love the tree. Strange how the mind works. I would have turned one upside down, put in a floral arrangement with a votive. Mymad, That’s such a great idea. I am going to be hunting for these so I can make one for this Christmas!! and the mercury glass idea it awesome!! Judy, Feel free to share what you make on our Facebook page. We have a share day every Wednesday morning. Nice giveaway. It has been difficult to enter this as it keeps going off and have to start again. Sweet- Love Christmas in July! Nancy, Thanks for stopping by and entering! I want to come live with you until I can absorb the passion and creativity that flows so easily thru your veins. I’m truly just starting out and don’t even know what supplies I should make my start up kit with. Any knowledge you would like to share with a newbie.? Jeannie, You are so so kind! 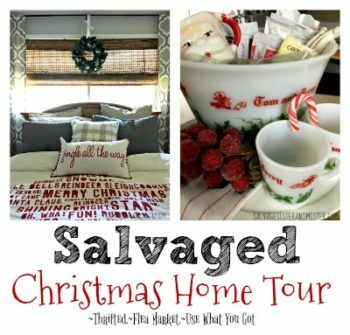 A long term goal is to have Camp Salvage where we would have an event here in Oregon. What I would love to know, to help, is what area you like. Are you interested in anything in particular? I’m gonna try this! Thank you!! Jane, I hope you get to do one! This is such a great idea. They will be very pretty on my Christmas table scape. Thank you! Wow, the tree is amazing. I will be shopping now for similar globes. Such a creative idea! Mary, I sure hope you get to find some. Those little globes are everywhere here where we live. Thanks for stopping by! That glass Globe is beautiful. Just in time for Christmas. Love the globe Christmas tree idea! I’m going to have to be on the lookout for some of those when I’m junking. Joni, They should be fairly easy to find (at least in our neck of the woods they are). Thanks for stopping by and entering. Thanks so much Deborah for answering my comment. I live in a really small town in East Tennessee. The closest large town to me is Knoxville. I need all types of furniture and decorating items. We had a big bug issue recently and had to get rid of everything. I’m on a very tight budget and I mean tight so I need to repurpose and recycle everything I can. Anything you can tell me would be greatly appreciated. Thanks again. I hope that helps. Stay tuned for more projects and ideas. Oh, and following on various social media accounts as we share all sorts of other ideas there as well. This is so pretty! Love your style and projects! Bless your heart. You are an angel. So sorry to hear about your move and the loss due to the time constraints. Thank you for the links and all the inspiration. You have been a blessing. God bless you both. I love this! I love looking for new ways to get creative for the holidays! I can’t wait to try this! Thanks so much. I have a starting a new project with them and hope it turns out to share. What a clever idea. All those glass globes and now a beautiful way to use them. Kippi, Thank you so much. Those little glass globes are in such abundance, it was nice to find a way to use up some. I am trying to come up with some more ideas. Stay tuned. 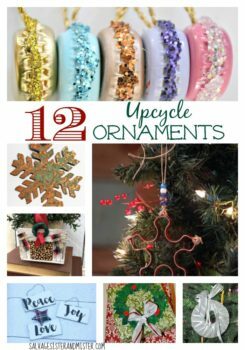 This certainly is amazing recycle holiday project. So innovative. Maria, Thank you so much!! !